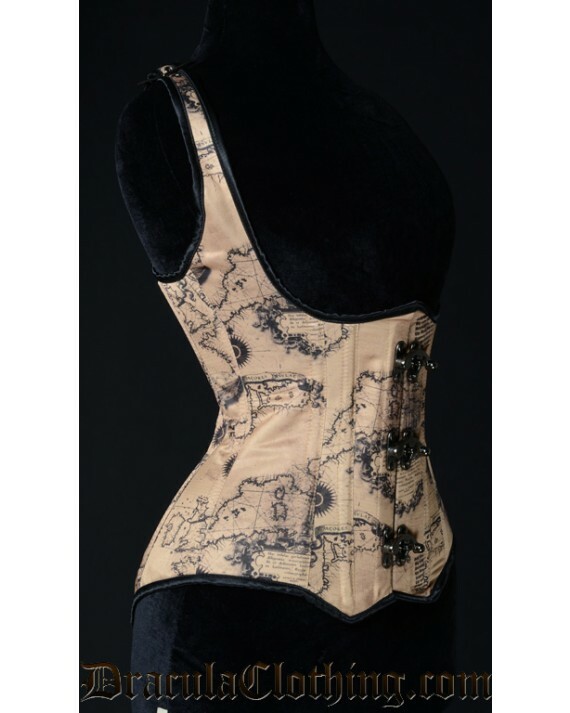 Our Shoulder Corsets are good for spine support. These corsets do not come with a modesty panel. Also available with black clasps or a regular busk. Mamiko is also wearing the White Cravat Blouse.